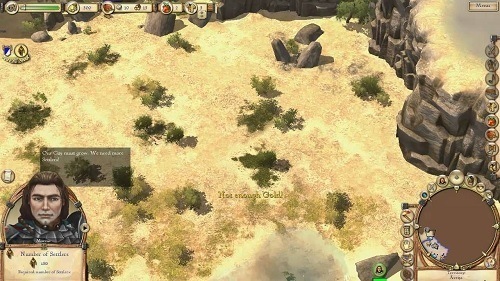 The Settlers: Rise of an Empire is a real time strategy game that features a 4X style of gameplay. The game was published by UbiSoft and released in September 2007. For gamers who are unfamiliar with the 4X strategy genre the fundamental game elements involve exploration, expansion, exploitation and extermination. The game takes place in a Medieval Europe and has players battling against the evil Red Prince in a lengthy campaign (16 missions) as he attempts to control the entire game world. Players can choose from one of six knights to use in the campaign mode that have distinct traits that change your approach to the campaign missions. This knight is your connection to the game world and used for quests but also is a powerful military unit that grows with you throughout the game. 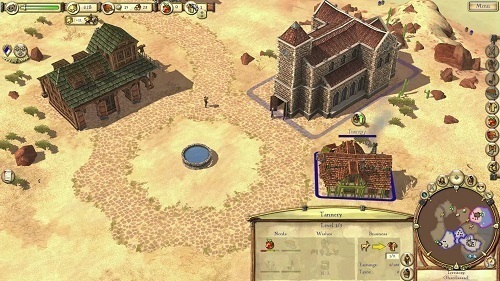 On a gameplay level players will manage their own settlement as they gather resources and manufacture them into other resources. The game also has a currency which helps facilitate trading within the game so there are plenty of economic and resource considerations for players within the game. On top of the economic side of gameplay players must also manage their settlers and keep them happy otherwise they’ll go on strike and bring your economy to a halt. The Settlers: Rise of an Empire adds some new elements into the game series to help simulate a more realistic experience. The most obvious of these changes is the introduction of a weather system which players will experience through the campaign. Winter is the harshest of the seasons as you would expect and stops most food production entirely which requires careful planning and stockpiling. Overall Rise of an Empire leans on the more simplistic side of gameplay compared to others in the series but does have a very 4X feel to it with some nice touches. A simple real time strategy game with 4X elements. Plenty of neat little touches (like the season system). Choose from one of six knights to command through the campaign. Plenty of city building elements also built into the game. Fun co-op and versus options for multiplayer.